This historic building dating from 1193 is one of Ireland’s most impressive examples of early gothic architecture. The remains of the Abbey are situated in beautiful parkland on the outskirts of our village. 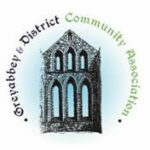 In 1193 at the instigation of Affreca, the wife of John de Courcy, work was commenced on the building of a Cistercian Abbey at what is now known as Greyabbey in County Down. 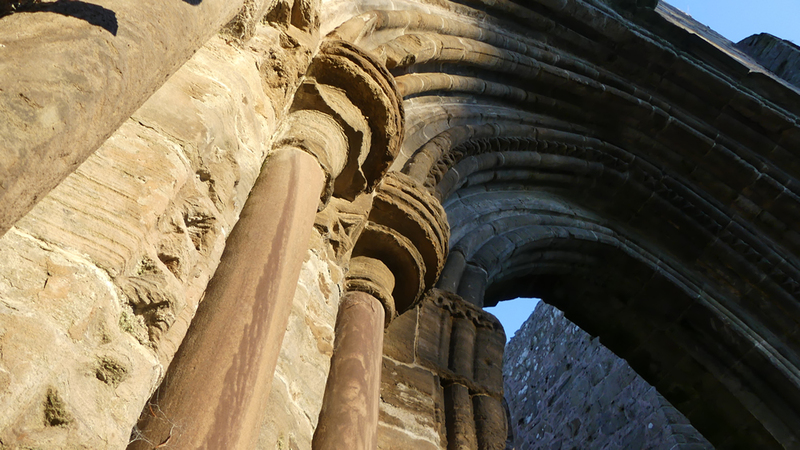 Tradition tells us that Affreca founded the abbey to give thanks for a safe landing after a perilous journey at sea. When founded the Abbey was known as Iugem Dei or the “Yoke of God”. 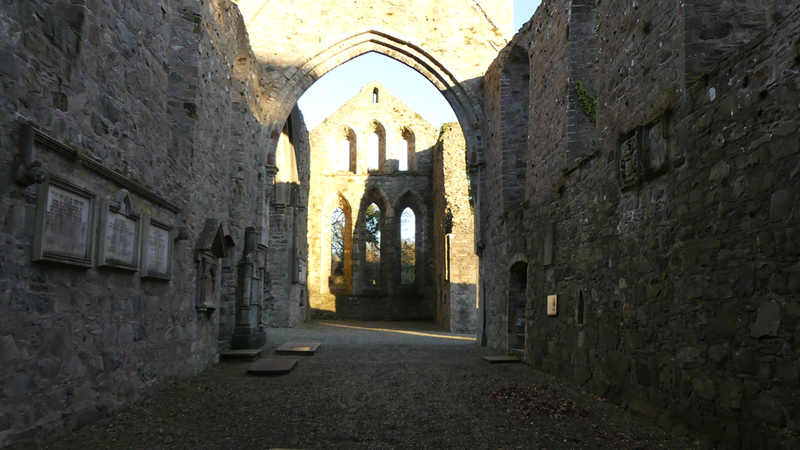 It is believed the abbey and subsequently the village eventually became commonly know as Grey Abbey due to the unbleached colour of the monks’ greyish-white habits. 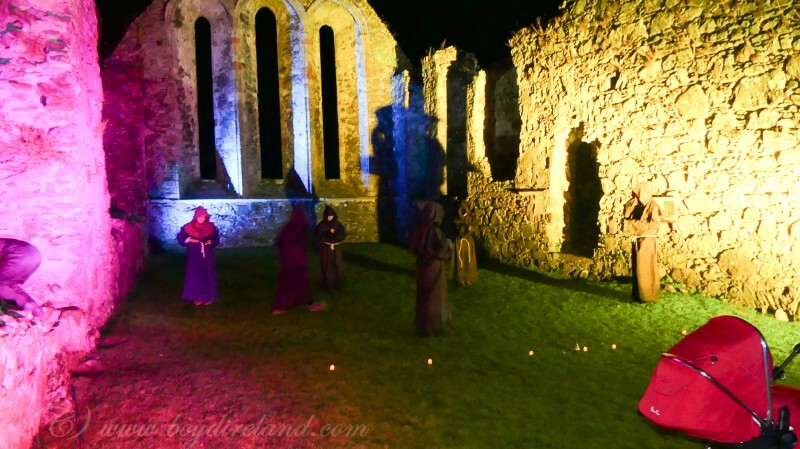 Medieval abbeys and monasteries usually kept within their grounds an area for the cultivation of herbs and plants which could be used to produce medicines. They would also have included plants which could be used for colouring wools and other fabrics. 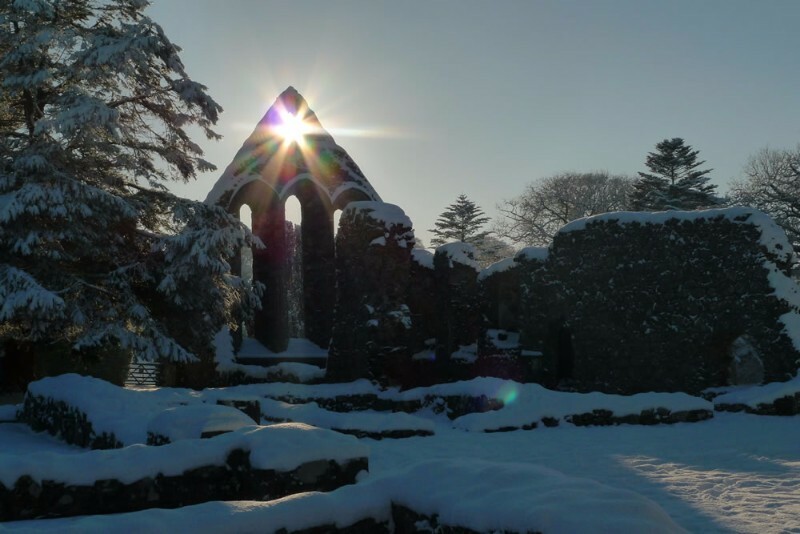 The Grey Abbey Physic Garden is a reconstruction of such a garden and contains approximately 40 herbs and plants believed to be grown by the Cistercians. ‘Friends of the Abbey’ was formed in 2015 and assists the DfC to keep our historic Abbey & Physic Garden open for the public to enjoy. 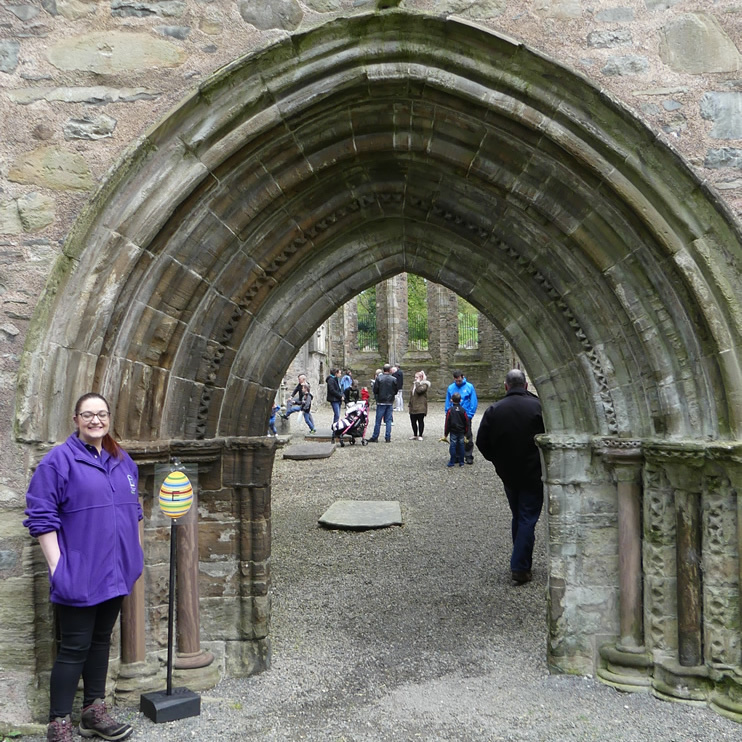 Our volunteers offer information and guided tours which are complemented by an interactive exhibition centre offering information on how the Abbey was built, the monks’ life and their impact on the surrounding area. Monday – Thursday by appointment. December to January by appointment. Guided tours every 1st & 3rd Sunday – June, July & August at 2:30pm or by appointment. Access to the Historic grounds and Exhibition Centre is free to all. The gate to the grounds is open from 9am – Dusk.